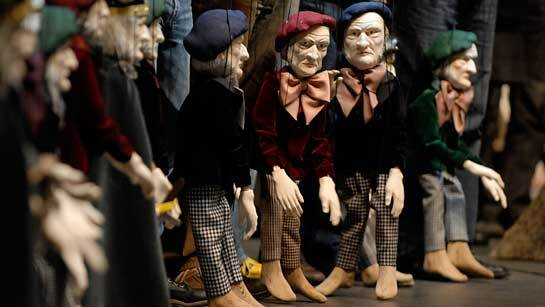 Marionettes used in Stefan Herheim's production of Lohengrin. 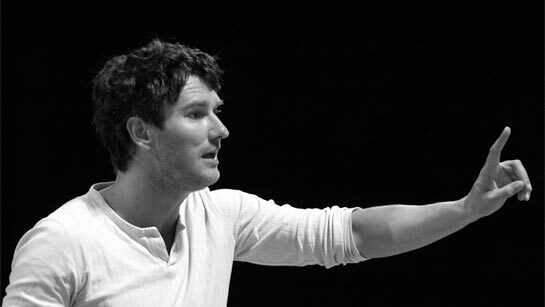 Alexander Meier-Dörzenbach is the dramaturg in Stefan Herheim's team - now rehearsing a new production of Lohengrin at Staatsoper unter den Linden in Berlin (premiere 4 April). Wagneropera.net asked him about the concept and the actuality of Lohengrin today. What kind of concept do you (and the rest of the Herheim team) start out with in your forthcoming production of Lohengrin? It is a fascinating experience to create Parsifal and Lohengrin within the same team, since during our work on Wager’s last piece we often felt redeemed listening to the zestful music of Lohengrin, while working on Lohengrin, we dream of the complex layers of Parsifal. 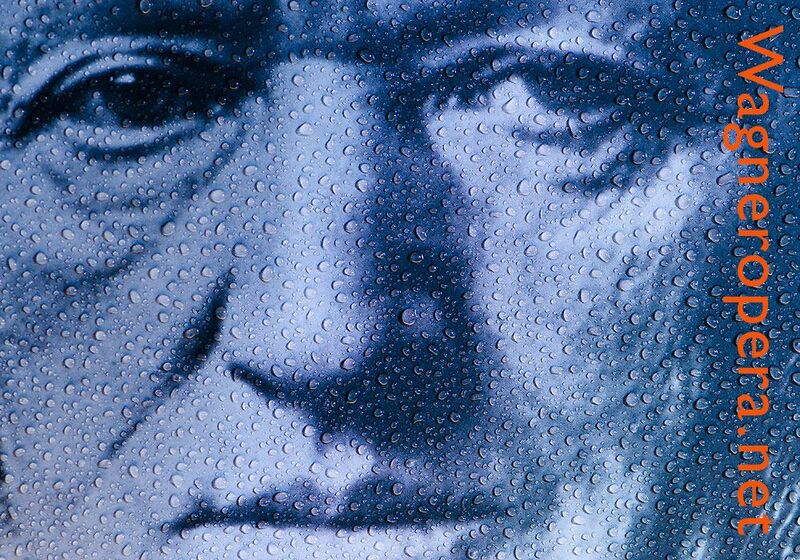 As regards content, these two pieces are somewhat connected – Lohengrin being the son of Parsifal – but Wagner’s attitude towards the potency and impotence of art and authority has changed during the decades inbetween. His ardent, passionate and somewhat naive belief in authoritarian guidance is of central interest to our starting point. How do you consider the actuality of the work (of a work like) Lohengrin today? Starting with Adolf Stahrs 1851 criticism of Lohengrin as a cold soldier from heaven, who strictly obeys divine orders, the figure of the knight in shining armour has been a means of identification for the Emperor Wilhelm I as well as Adolf Hitler and is thus interwoven with German history. However, the historical-political dimension of time is not really the most fascinating and actual focus. The idea of slavish obedience without asking any questions is still a very hot topic within the arts. How much sense do we allow ourselves to be deduced from sensuality? Are we willing and able to accept the auratic magic of art or do we analyse and question it until the enchantment is gone and we are left with antiseptic answers? Do you watch – or study – other productions when you prepare for a new production? Are there any particular productions of Lohengrin that you find interesting? During our long preparatory work for a production we listen to very different recordings while we read the score. We very rarely watch excerpts from DVD productions – and if, then usually once our concept is already formed. But for Stefan and me, there is one production of Lohengrin that has influenced us immensely, because we saw it during our years of study in Hamburg: Peter Konwitschny’s staging of Lohengrin. This legendary performance is set within a school class into which one adult, Lohengrin, gains access. The martial music and the constant military cheering was thus reduced to a playful lightness, but the love story between the grown powerful man and the intimidated young Elsa (unforgettable in this role: Inga Nielsen, who died much too early a year ago!) already reeked of tragedy. When Gottfried returns at the end – announced as the leader the people deserve – and a young boy appears in WWII gear, the shock is immense. During opening night people were divided into booing their brains out and applauding enthusiastic ovations – unfulfilled expectations met with new experiences. There is hardly a performance during which I so clearly felt that opera is alive and art matters! 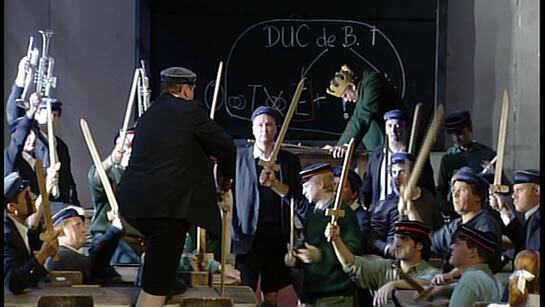 Peter Konwitschny's production of Lohengrin takes place in a classroom. Your stage production of Parsifal was clearly marked by its location in Bayreuth. Will the Berlin Lohengrin be influenced in a similar way? The mystical aura of Bayreuth is a unique place that has influenced the reception of Wagner immensely. Berlin, however, is a city with three opera houses which vigorously and clamorously claim to be of prime importance, but the discussions have shifted long ago into institutional bureaucracy and money while the communication of art disappears. 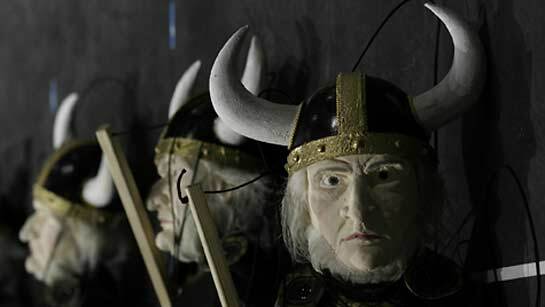 Taking Lohengrin as the "seltsam Wunder", the ”unerhörtes, nie geseh’nes Wunder”, questions of creation and perception of art arise and we will definitely plant those questions onto the field of artistic reference in Germany’s capital. 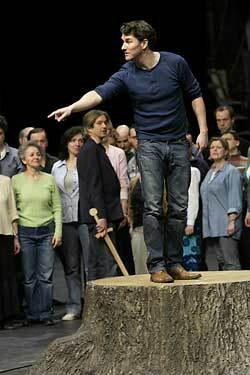 Not unlike the Parsifal figure, the person of Lohengrin stands out as a kind of saviour. How do you handle the problematic of redemption or religious transfiguration in Lohengrin? The idea of transfiguration or metamorphosis is of utter importance, but the system in which it works here is not so much religion. Lohengrin is not an opera of ideas, in which the heathen world competes with a Christian one, but an opera of beliefs. Do I believe in the auratic magic of Lohengrin? On first sight of the knight, the choir intonates: "Ich fühl’ das Herz mir vergehn, schau’ ich den wonnevollen Mann." The human being does not seem to be able to take the enchantment – the heart decays. The belief in a higher order, in spiritual guidance is evident, but we have translated that into a theatrical mode – marionettes. Since we will be working with string puppets, it is rather difficult to clearly state in a few words, what kind of "person" Lohengrin is. Elsa is an inspired individual who actually produces in her opening aria the redeeming work of art, Lohengrin. With his arrival we have a tenoral hero and opera seems to work just fine! In the bedchamber scene in the third act, however, we witness how Elsa longs for names and classifications, while Lohengrin symbolically raves about the enchanting perfume of flowers in the dark night. Elsa desires a double defloration – enough of the botanical talks and on to a new dimension! This clashing of cultures – spiritual existence and human being, but also man and woman – is at the oscillating center of the work. What exactly is your, the dramaturg's, role in the Herheim team? Stefan and I have worked together now for 10 years – we met during our studies in Hamburg and I was the dramaturg for his very first performance, ”Die Zauberflöte”. Having studied cello, before directing, Stefan is a prime musician with perfect hearing, while I studied German and American literature as well as art history. When we sit together and open a score for the first time, we contribute different perspectives to the work of art, its time of composition and our times as well and subsequently create a new dimension together. 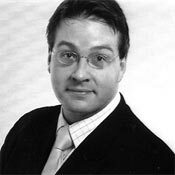 Having written my dissertation on Gertrude Stein and the art of modernism and working as a professor at the university, I often work with an analytical approach including a historical-cultural background, while Stefan has an exuberant theatrical instinct and imagination. The striking of those two worlds initiates the spark with which we then light the fire of interpretation and creation. Apart from providing inspiring material during the concept-period, I draft the program and write texts which allow the viewers to gain access to the performance via a verbal road as well. Once we have decided on which content to tell with the plot and rehearsals start, I am the first viewer during creation and perceive and criticize what’s going on. Good art requires dialogue – sometimes just between work and viewer, but more often – always in opera – between different entities. And finally: Will we see a Ring production from the Herheim team during the 200 years’ anniversary in 2013? Although there have been quite a few inquiries about such an exciting venture for some time now, the Ring is not in the making by the Herheim team at the moment. We have done Rheingold in Riga and Bergen, but this ”Vorabend” just opened a window to the immense building of the cycle. Updated: Stefan Herheim will do a Ring at the Deutsche Oper starting - according to unofficial information - in January 2020. The first complete cycle is planned in June 2021.